Check out your favorite new model vehicle or one you are considering for purchase at the San Diego International Auto Show at the San Diego Convention Center. Car nuts can also take one of several models from Ford, Hyundai or Toyota out for a test drive, explore the Eco-Center for a look at the latest fuel-saving and environmentally friendly technologies or check out one of the many concept cars for a look at the future of driving. This year’s show will highlight more than 400 new-model vehicles, concept cars, alternative-fuel vehicles and specialty cars, trucks and vans spread out over 600,000 square feet of displays on two floors. Wednesday, Dec. 31: 10 a.m. to 7 p.m.
Thursday, Jan. 1: 10 a.m. to 10 p.m.
Friday, Jan. 2: 10 a.m. to 10 p.m.
Saturday, Jan. 3: 10 a.m. to 10 p.m.
Sunday, Jan. 4: 10 a.m. to 7 p.m.
San Diego Convention Center (Click for Internet map) at 111 West Harbor Drive. With the exception of guide, signal or service animals, animals are not allowed in the San Diego Convention Center during the San Diego International Auto Show. 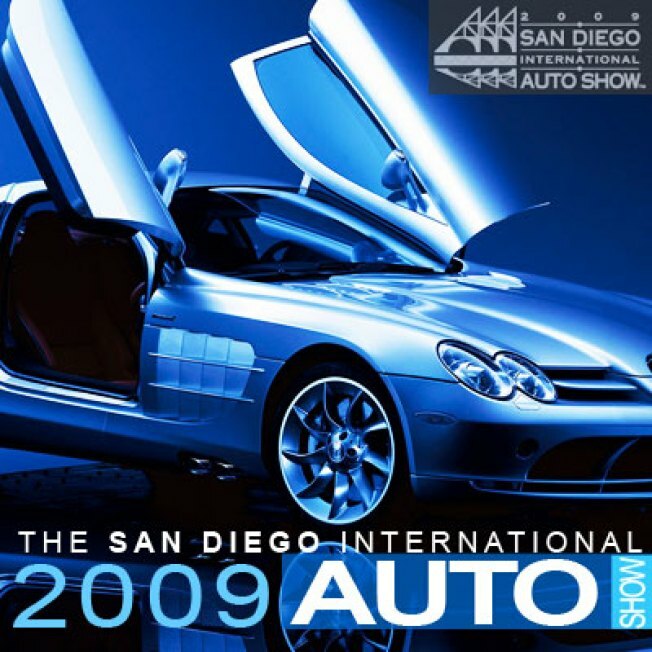 Anybody who wants to attend ticket lines can buy VIP E-Tickets to the San Diego International Auto Show. VIP E-Ticketholders have their own special entrance inside the convention center and will have expedited entry into this year’s show.